It’s a Victorian organisation. There are local groups covering other parts of Australia. You make media comment on stuff outside your knowledge at your peril. It takes away effort from activism for and in Victoria. So I was very surprised to discover some quotes of mine in the Sydney Daily Telegraph last week. INCONSIDERATE travellers putting their feet up on train seats have been fined $48,000 in the past year. Daniel Bowen, president of the Public Transport Users Association said it was “completely appropriate” for people to be penalised for placing their feet on seats, however he said more should be done to educate people it was an offence in the first place. 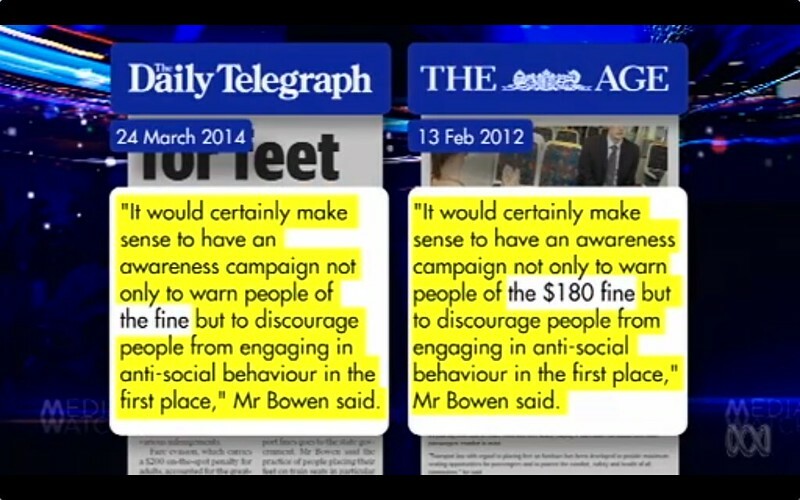 “It would certainly make sense to have an awareness campaign not only to warn people of the fine but to ­discourage people from engaging in anti-social behaviour in the first place,” Mr Bowen said. I only found out about it because at least two Sydney radio stations contacted the PTUA wanting further comments (and specifically, audio quotes to use in their bulletins). I hadn’t given quotes to the reporter, but they sounded vaguely familiar, so I did a bit of Googling and found them in a 2012 Age story. The situation in Sydney is unclear to me. I know from the story that 480 people were fined in a year (a tiny amount compared to 17,592 people fined in Victoria in a year). But the offence in Victoria includes (basically) putting your feet anywhere that isn’t the floor. Is that the same in Sydney? Is there signage in Sydney? Are there education campaigns in Sydney? I don’t know, and the PTUA office received at least one grumpy email from a Sydneysider noting that the comments were uninformed. Well, yeah. 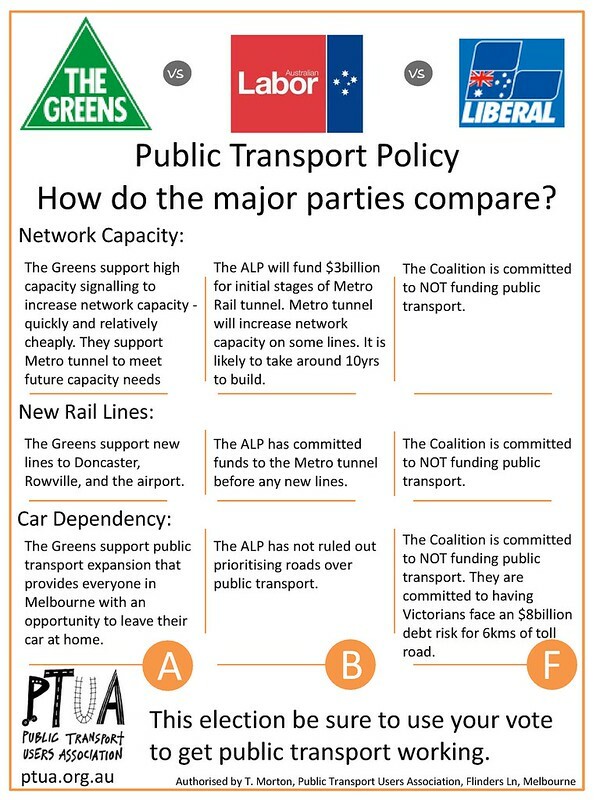 The interest from radio and from Sydney punters meant that PTUA volunteers had to spend time dealing with the fallout from two-year-old quotes copied out of context. Some people suggested I contact Media Watch. So I did. If you missed the story, it’s online here. I should note that in no time in my dealing with the Melbourne media (including Daily Telegraph stablemate the Herald Sun) have I experienced anything this dodgy. Apparently 2GB spent some time on the story, but they say they didn’t reuse any of the quotes, and got a Sydney-based public transport advocate to speak to. That’s how you do it. Update 14/4/2014: With thanks to Peter (see comments below), Crikey is reporting today that Phil Jacob has resigned from the Daily Telegraph after other instances of plagiarism came to light. A Crikey investigation has uncovered a series of highly questionable articles published in The Daily Telegraph that appear to borrow — liberally and in some cases word-for-word — from reports in other publications. The reports were all penned by Daily Telegraph state political reporter Phil Jacob, who was slapped down on the ABC’s Media Watch program two weeks ago for lifting quotes from a report in The Age to illustrate a story about rail commuters. But it appears this wasn’t the only time Jacob has lifted copy from stories other than his own. Next, perhaps the most useless Melbourne public transport map ever produced. It doesn’t show the most well-known location, the CBD, and shows very few others. It also has numerous errors, including: Implies Sandringham is next to Clayton. Implies Glen Waverley is east of Clayton (it’s actually north). Implies Box Hill is east of Glen Waverley (it’s northwest). Implies Belgrave is next to Box Hill (it isn’t). 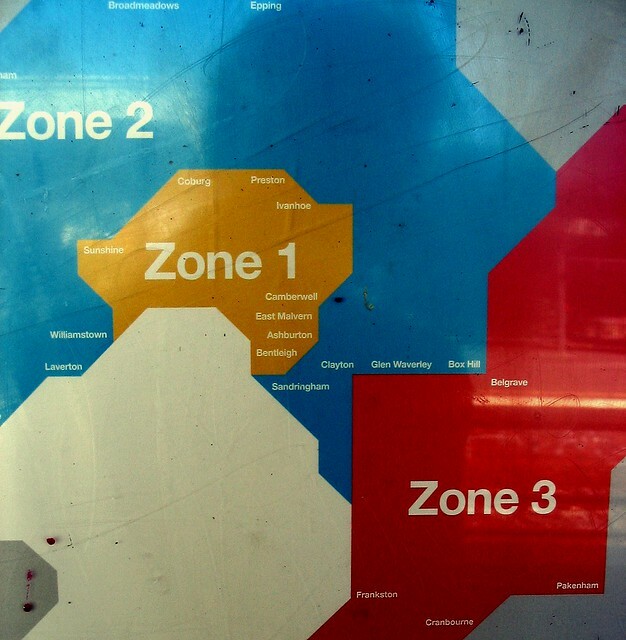 Williamstown is actually in zone 1. Many of the others are on the zone 1/2 boundary. A youthful looking me, on the news just before New Year’s Eve, warning of the chaos to come. Abbott’s outright refusal to fund urban public transport (while throwing billions into motorways) hasn’t won him any friends here. Make sure your vote counts. From a conversation with my sister, an occasional PT user, I’m guessing there are some discounts around the place that people don’t know about. The good news is that with Myki being forced down everybody’s throats, if you can get over the hurdle of getting a card (now $6 full fare, $3 concession), it’s easier than ever before to get the discounts. This is just a summary, and is aimed at Melbourne, though some of the rules apply elsewhere in Victoria. There are various exclusions (for instance no free travel on some services such as Skybus or Countrylink). Click on the relevant link for all the details. Kids aged 3 and under ride for free. Anybody with a permanent disability which means they can’t use tickets can get an Access Travel Pass, which means they ride for free. Separately, there’s also a Scooter and Wheelchair Travel Pass which also provides free travel, and also a Vision Impaired Travel Pass. There are various other free passes for (some) war veterans, companions/carers, and also some retired public transport staff. There’s free travel on weekends for Victorian Seniors — see below. Note that Myki cards need a positive balance (above zero) for the free travel to work (eg if you owe them money, you don’t get a free ride). Concession fares are generally 50% of the full (adult) fare. You can’t buy a concession Myki from a vending machine; you have to find a Premium station or retail outlet or buy online. Kids from 4 to 16 can use a concession Myki (without needing a concession card to prove entitlement). Kids 17 and older who are in fulltime study (secondary or tertiary) need to get a VPT (Victorian Public Transport) Student Concession Card (costing $9) to be eligible to use a concession Myki. You also need one of these if using a Student Pass (discounted 6-month or yearly ticket). Anybody with a Health Care Card (with a Victorian address) can travel on concession fares — these cards are broadly available to people on limited incomes. This is helpful for some postgrad or part-time students who are ineligible for student concessions. 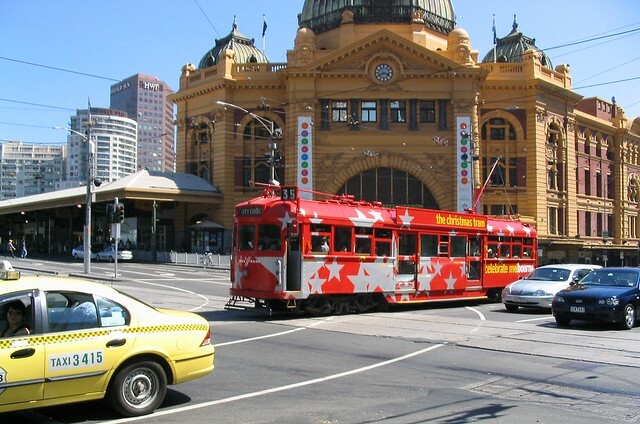 If you have a Victorian Seniors Card you can get a Seniors Myki, which gives concession fares on weekdays, capped to the Seniors Daily $3.60 fare (2013: $3.80), and free travel on weekends. There are various other concessions for (some) war veterans and widows, and asylum seekers. Seniors from Interstate can use a standard concession Myki, but can’t get a Seniors Myki. It’s not clear to me if seniors from overseas are entitled to any discount at all — although this page implies all “non-Victorian” Seniors can get a concession Myki, but this is not reflected in the Fares & Ticketing Manual, which talks about Victorian and interstate/Australian seniors or pension card holders. The rules for kids appear to apply to those from interstate or overseas — free rides for 3 and under, concession fares 4 to 16. No discount for 17 and over, as you have to be a student in Victoria. Despite continuing campaigns, international students aren’t eligible for concessions. The rules about 2-hour tickets being valid all night after 6pm still apply to Myki: the fare applies until 3am. Free rides apply on Metro electric train services if your trip is finished by 7am. You can’t just travel without a ticket; you have to get a Myki and touch-on and touch-off so you can prove your trip was finished. On weekends and public holidays, the old Sunday Saver/Weekend Saver discounts apply, meaning you pay no more than $3.30 for zones 1+2 (2013: $3.50). If you’ve been driving on the weekend to a zone 1 station to avoid the zone 1+2 fare, you might as well not bother. Note that it applies on all gazetted Melbourne public holidays. This is a genuine improvement over Metcard, which didn’t offer public holiday discounts. Normally full fare Myki cards cost $6, and concessions $3. But some types of Myki are issued free: these include the various free travel passes listed above, as well as to Victorian Seniors, and also Commuter Club (see below). And of course the discounts most people do know about: if you’re travelling 4-5 days or more per week, check out Myki Pass options: 7 days (eg a weekly fare for the same price as 5 individual days using Myki Money) or 28-365 days. And of course if you’re travelling most days and are prepared to pay a year in advance for the best discount possible, check if your employer offers Commuter Club (some will even offer it via salary deduction), or get it via the PTUA. Another 5% + CPI rise has not yet been confirmed, but is expected in January. It used to be you could buy Metcards in advance to beat the rise. You can’t do this anymore — Myki Money fares are charged at the time you travel, not when you load the card. But you can buy Myki Pass fares in advance. You can have two on a single Myki card at once; the current one and the next one. When the price rise was officially announced last December, there was only about a fortnight during which Commuter Club orders were accepted at the 2011 price… in that fortnight the PTUA processed around 160 orders (most of them from new members), running the volunteers ragged by the end, and pumping over $180,000 through — it felt like we’d opened a money laundering service. So if you’re going to order one, my advice is get in early. Tonight’s PTUA AGM means today is my last day as Prez. Tonight’s PTUA Annual General Meeting means today is my last day as President. I’ll miss a lot of it, particularly dealing with the media, and meeting/discussing/debating with industry and political players (the former in particular often providing information that should be out in public, but isn’t. And I’ll definitely miss being able to help shape the debate – I’m thinking of the push towards frequent and better connected services, both ideas which are now generally agreed upon as needing fixing. Without wishing to offend the good people in radio media, I can’t say I’ll miss the early morning radio calls, nor trying to juggle multiple things at once to do a live chat with Faine or Mitchell on the way to work (though I gotta say, live radio is a buzz — great for keeping you alert). And while I’m always happy for a chat with people, those who just intently stare at me on the street… yeah, I won’t miss that so much. What’s been fascinating is the shift away from the attitude that PT is only for the minority who can’t drive, plus CBD workers. 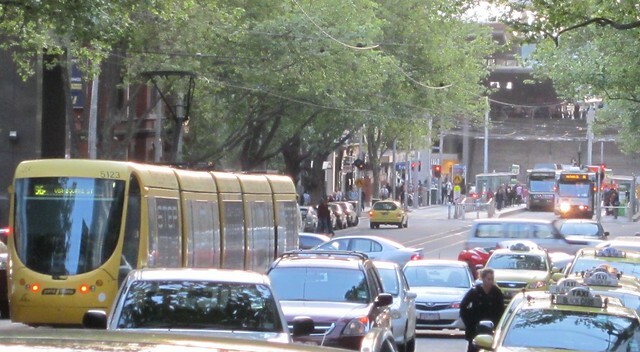 It’s part of Melbourne’s transition to a big city, but organisations like PTUA have helped keep reminding governments that investment in better services has to keep up. It will be critical for the new team to stay on message — to keep using the sort of language which the average punter sitting at home reading the paper or watching the news finds themselves agreeing with — whether they use PT or not themselves. Thanks to those who got in touch (by whatever medium) when it was announced I was stepping down. — for those not on the eastern seaboard, MX is the free afternoon commuter newspaper. Some deride their emphasis on showbiz news, but they do have a mix of wire stories and their small team of actual local reporters are good guys. 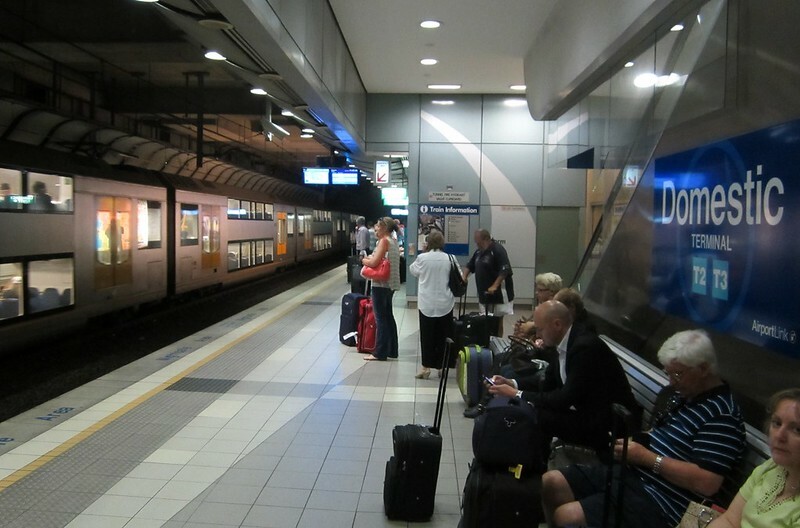 PT passengers are their core demographic, and they’ve run many PTUA stories over the years. 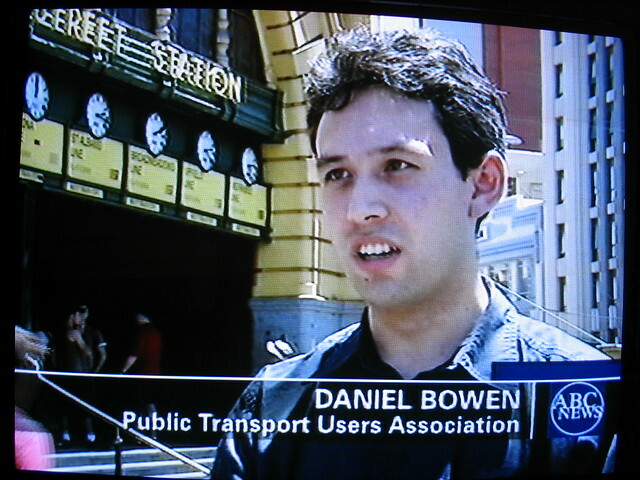 Congratulations to @danielbowen. Stepping down after (almost) ten years as voice of the commuter. Many could learn from his approachability! 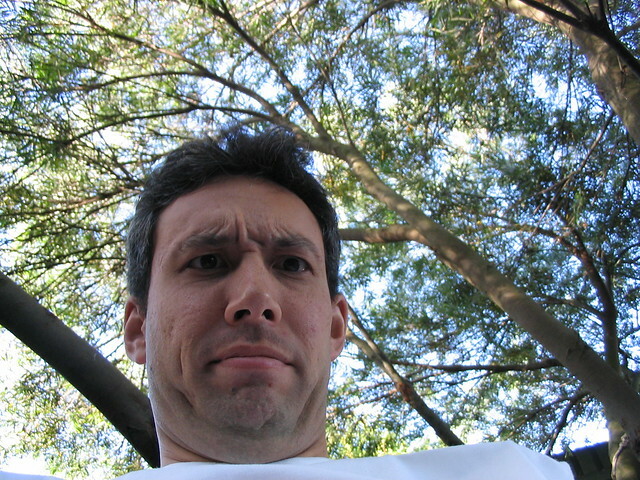 — Gareth Boreham is the former state political reporter for channel 10, including during the height of the trains crisis. Gareth’s comment on approachability is an important one for volunteer activist groups to remember. Mainstream media works to deadlines. For maximum effectiveness you need to understand and work within those deadlines, and foster good working relationships with the journos. An update to the study of 15 minute services, showing how few (buses in particular) meet the standard, and the huge gaps in Melbourne with no frequent PT, even in peak hour. 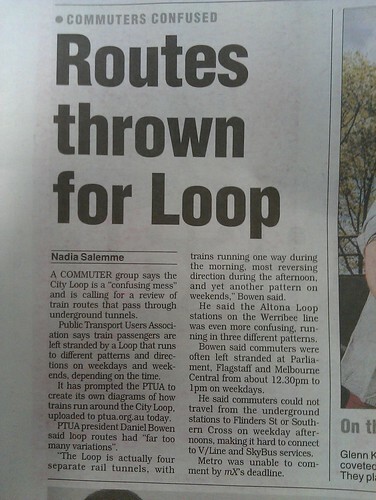 A new set of maps showing how the City Loop works, to try and highlight the silliness of so many confusing patterns. Those of you who are PTUA members, hope to see you at the AGM tonight, and good luck to the incoming PTUA executive and committee team.